As your dough is in its final rising period, it is very fragile and has a difficult time supporting itself. 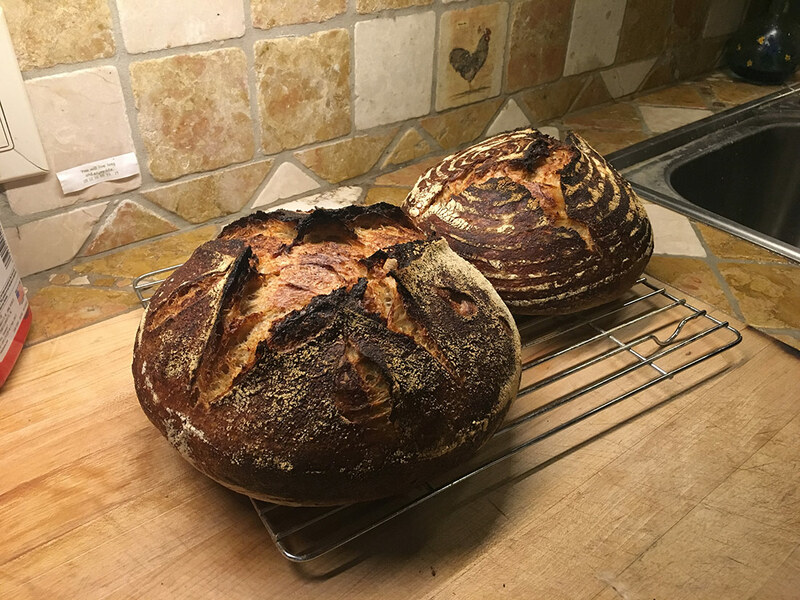 Choosing the right size proofing basket can make all the difference in having a nice, high dome-like boule, or having a short and stocky flying saucer like loaf. Natural yeast is slower to act vs. commercial yeast. As your Sourdough rises it can become too heavy and collapse. This is why your proofing basket is so important. If the sides of your basket are too wide, your dough will spread out and not up. Recently, I purchased a very small (by my standard) 8.5″ proofing basket on Amazon for about $11. I was happy with my baking results so far but I wanted to go a little too small for comfort and see the results. In short I was very impressed. I loved the rise and oven spring. I have not yet cut into it as it is still fresh from the oven but I can not wait to see the crumb of this beast!